Play the short video below to learn how EcoSafe can help you achieve Zero Waste! Is Zero Waste your goal? We can help! 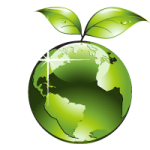 EcoSafe offers easy to implement solutions that help you plan, implement, and support a successful Zero Waste program in any setting. It’s as easy as 1, 2, 3. Zero Waste Pro’s know that all compostable bags are not created equal. Choose EcoSafe-6400® and you can have Made in North America industry leading performance and compostability all in the same bag. With EcoSafe, It’s just that easy. EcoSafe has bins designed specifically for the source separation of organic waste and recyclables. 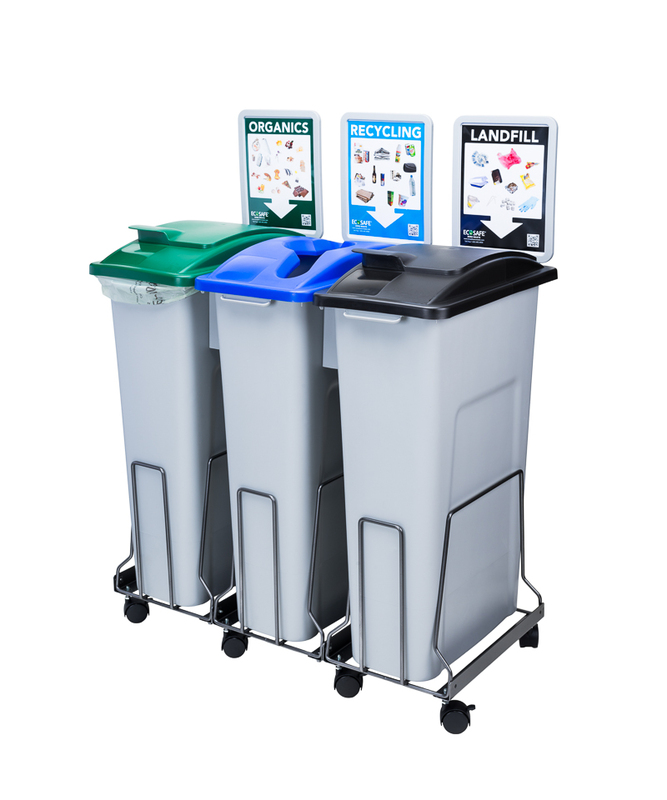 Whether your Zero Waste program is Industrial & Commercial, or you are in the Retail market EcoSafe has the bins you need. EcoSafe delivers turnkey Zero Waste Solutions for source separation with a focus on diverting organic waste from landfill to commercial compost facilities. Compost, a natural organic soil supplement, improves soil quality without the use of chemical fertilizers. It also helps to control erosion, reduces the need for watering and improves air quality by mitigating the production of methane gas, a potent, harmful green-house gas. The application of compost to our lands closes the loop on the natural bio-cycle just as Mother Nature intended. 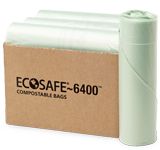 EcoSafe distributes a range of “best in class” certified compostable bags and recycling containers designed for zero waste programs in homes and commercial operations. We add value by providing after sales support, marketing materials, signage, and distributor training and education. Our zero waste solutions help make diversion as easy as 1 – 2 – 3 with simple and proven program design guides, implementation checklists, and ongoing world class support. Diverting organics and recyclables has never been this easy. Source separation of organics is not rocket science nor does it have to be difficult. EcoSafe works with our customers to apply “best practices” at every step to achieve the highest levels of participation and the lowest levels of contamination. We will assist you in building a customized program to achieve your Zero Waste goals.